Idra Novey’s timing is impeccable, though she probably wishes it weren’t — for the sake of the Union. 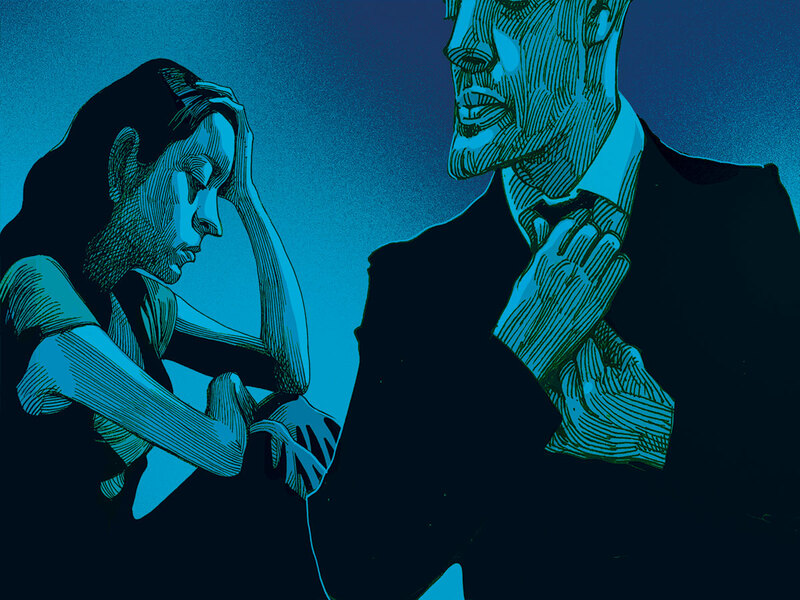 Her second novel, Those Who Knew, features a popular politician who has a history of assaulting women, including one attack in which he clamps his hand down over the face of our protagonist, Lena, nearly suffocating her until she passes out. The book is a thriller of sorts, as Lena flashes back to that moment, haunted by the death of another young woman she’s sure the politician, a sociopathic senator named Victor, has murdered. He could kill again — thanks to Lena’s silence and the silence of others, including Victor’s homosexual playwright brother, Freddy. Freddy writes an experimental drama exposing Victor, which is interspersed in bits and pieces between the short chapters of the novel, but he locks it in a desk drawer. This is not so much a Whodunit as a When Will They Speak Up? Those Who Knew opens on an unnamed island 10 years after the fall of a murderous American-backed regime, and Victor has emerged as a young liberal saviour, a leader from the Truth and Justice Party. But Victor is just as bad as, or worse than, his predecessors. Lena, a rebel whose family members were supporters of the old regime, thinks that if she blew the whistle on the beloved senator, no one would believe her. In addition to his assaults on women he claims to love, Victor is involved in a farm scandal, which leaves a lake of swine faeces stinking up the countryside. It’s only a matter of time before someone smells the rot. Novey’s first book, the critically acclaimed Ways to Disappear, took place in Brazil and tackled similarly unpleasant subject matter — a kidnapping, a severed ear, a writer disappearing up a tree, a strained mother-daughter relationship and a hotel going up in flames. It had bite-size chapters as well, interspersed with faux dictionary definitions rather than the intermittent play scenes and diary entries here. But somehow there was a sense of magic to that last book, an optimism among the dark alleys and dysfunctional family relationships. It was like the caipirinhas that its Brazilian characters kept mixing — sweet but also sour, and packing a punch. Alas, there are no cocktails in this novel, but if there were, they would have to be Dark and Stormies. It would make sense to credit the Trump administration for the darkness that has overtaken Novey this time around, but she began this book long before the presidential election or the Brett Kavanaugh hearings. Its release fell on November 6 — an important Election Day, with crucial congressional seats on the line. The novel’s political intrigue and corruption, and the sadness that accompanies the sense of helplessness in the face of a great evil, is prescient. Maybe Novey saw it coming. After all, she grew up in the swing state of Pennsylvania. The post-revolutionary port city she draws here resembles a “soiled and forgotten heap of laundry. A mark on Lena’s coat is the “muddy colour of a period stain saturating the cotton of her jacket as if someone had slowly died in it.”Another character, Olga, a dissident bookstore owner and pot dealer who pines for her dead lover, hates overcast days so much that “she would find herself longing most acutely for a heart attack, or an aneurysm — anything to get it over with already.” Her shop is named Seek the Sublime or Die. 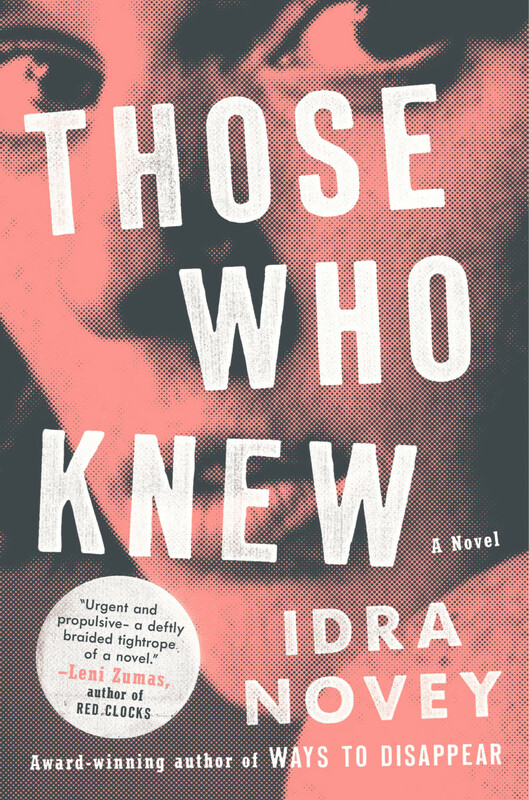 Those Who Knew takes several stabs at magical realism. A sweater like one worn by the young woman Lena suspects Victor of having killed ends up in Lena’s bag. The girl’s bra winds up in her dresser drawer. A slaughtered animal reveals itself to be a dead woman, if just for a second. Time flashes forward bit by bit, revealing an unplanned pregnancy, a few bad marriages, references to 9/11 and criticism of American foreign policy, but at times these seem like misplaced puzzle pieces rather than part of a coherent, hard-won whole. Novey’s first book was a meditation on writing itself, on language and translation (Novey started out as a poet and a translator of Spanish and Portuguese writers). Literary allusions are sprinkled through the new novel: a bit of Kundera here, some Yeats and Akhmatova there. Novey tips her hat to “Sailing to Byzantium,” its “ageing narrator, drifting like an ancient paltry thing, no more than a coat on a stick.” And we feel the tired futility in her bones — and ours. There are beautifully bright details — fish scales glistening like sequins,the layers of a croissant flaked and dissolving on Lena’s tongue — that keep us hungry for more, turning the pages toward some sort of resolution. But the villain’s comeuppance seems like an afterthought rather than the cathartic moment it should be. And a last-minute attempt at an optimistic future seems tacked on as well: two boys playing together in a field and Olga throwing her hat into the political ring. How indeed? Novey seems older, tired and slightly hopeless. But, then, aren’t we all?